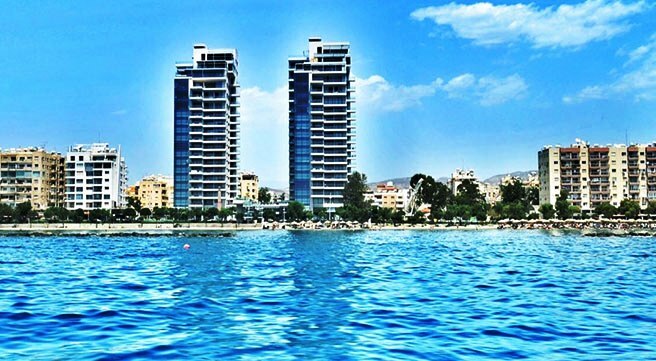 A spacious luxury 2 bedroom ground floor apartment located just across the beach in the Amathusia Coastal Heights residential complex in Limassol Cyprus. 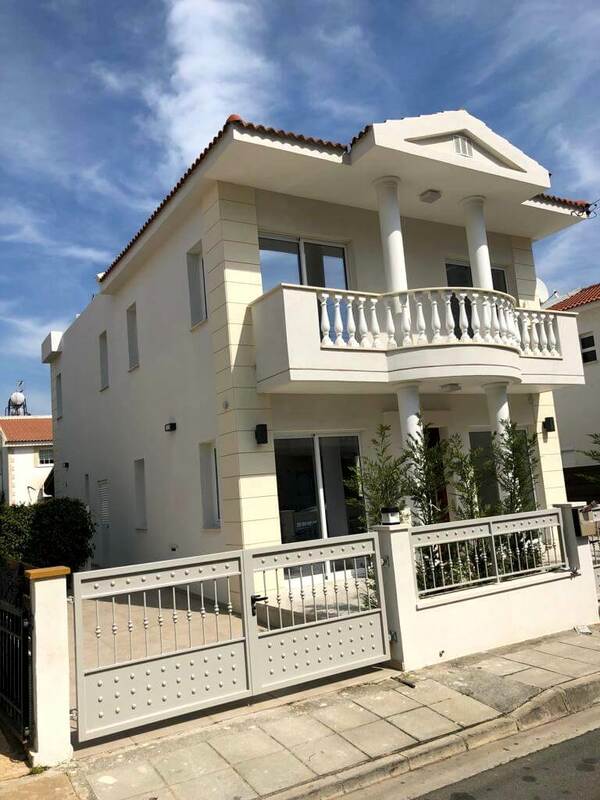 The apartment on offer is brand new – never been occupied – and has covered areas of approximately 80m2 plus a balcony of 9 m2. 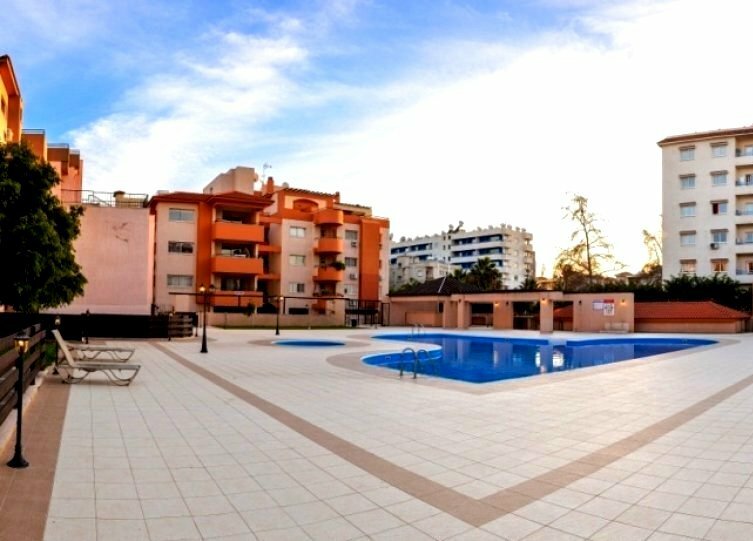 In more detail this superb apartment has an open plan fully equipped kitchen, a full size bathroom and toilet, 2 good sized bedrooms with parquet floors and a communal swimming pool just a few meters away. 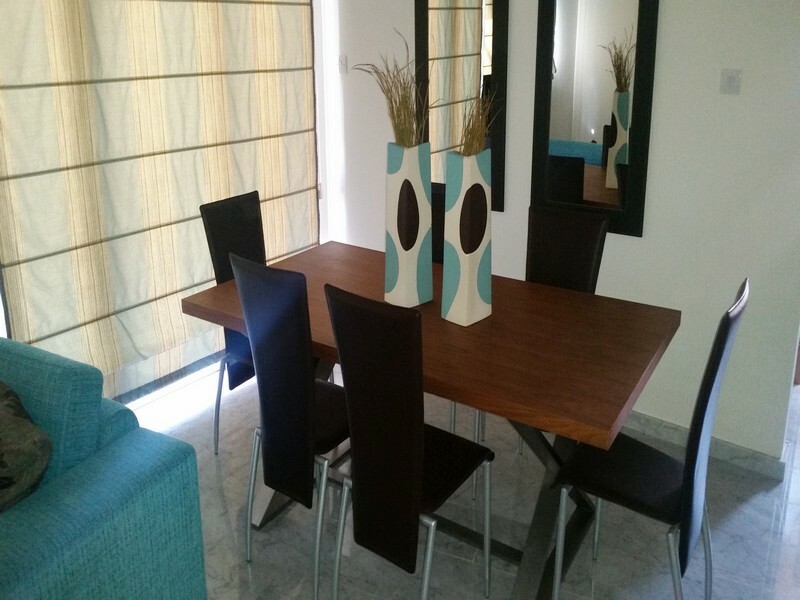 This exceptional apartment comes fully furnished with high quality designed furniture, curtains and shutters on all windows, bed linen, a fully equipped kitchen with expensive brand appliances, full air condition and is offered at a very attractive price for quick sale. In fact all you need to move in this property is just your personal belongings!